Vinification & Aging: The grapes were hand selected from 20 year old vines and placed into small crates. The grapes were soft pressed and fermentation and maceration lasted about 16 days in stainless steel tanks with temperature control. The wine then went through the malolactic fermentation in stainless steel and was transferred to small French oak barrels and allowed to age for 12 months, followed by at least 18 additional months in the bottle prior to release. Description: Deep ruby red color. Intense, fruity, long lasting bouquet, with hints of spice. 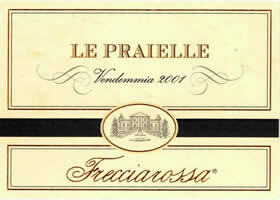 Harmonious on the palate, full-bodied and well-balanced with ripe, elegant tannins.